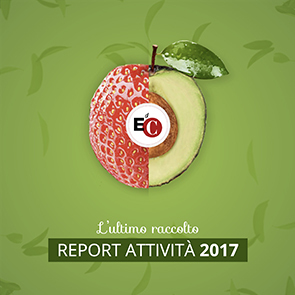 From November 27-29, the Marche Region Department of Social Services, Immigration and Environment promoted the Eco and Equo Fair, that placed attention on social services, the environment and on civil economy. The most varied expressions of civil economy for sustainable development were present. The event had a large resonance on the local level, and even caused some echos on the national level, including a November 28 citation in the Corriere della Sera: "a positive signal that there are people who exist and work every day to do right things." The EoC was also present with a stand called, “For an Economy of Communion, represented by a few local businesses who adhere to the project. It was an important occasion to meet and exchange with other realities of civil economy. For us, it was a chance to "come out", to make ourselves known in the specific territorial context supported by the local community, a true expression of co-interest and sharing. On Sunday, November 29, there was a round table on "Management and Economy of Communion", coordinated by Prof. M. Gabriella Baldarelli from the University of Bologna and professor at Sophia University Institute. Profound interest arose from the new prospectives that the EoC imparts on the style of running businesses, and from the new organizational paradigms that come as a consequence. Two of our EoC entrepreneurs, Sara Simonetti, of Verde Naturale, and Romano Ruffini, of MercurioNet, gave their testimony on what it means to live communion in the different aspects of business life. A lively debate followed, expression of the interest on this topic. The fair was attended by thousands of people and many stopped at the EoC stand. A young economics student, drawn towards the stand by the display of Cittá Nuova publications, thanked us at the end of the debate. She confirmed that we had not only given her precious material for her graduate thesis but also an economic approach that deeply meets her ideals. Another, very young entrepreneur, showed his desire to learn more about the topics addressed so that he, in the future, can become an EoC entrepreneur himself.